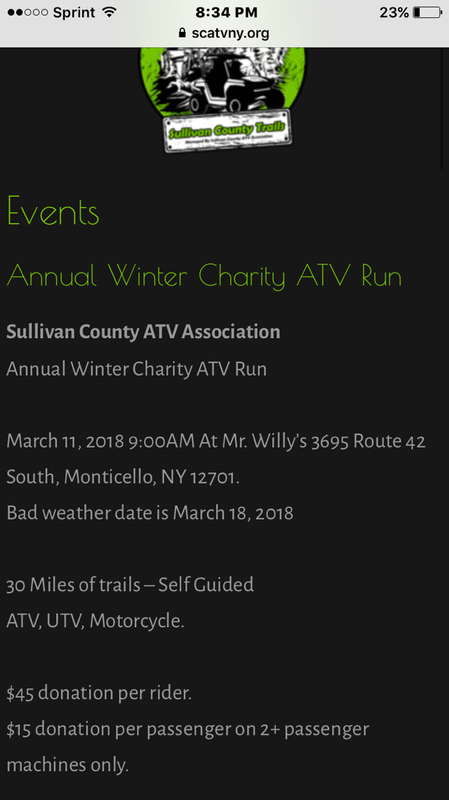 Sullivan county NY atv trail run. Charity event. This will be my first time attending, click on there link. It looks like fun!